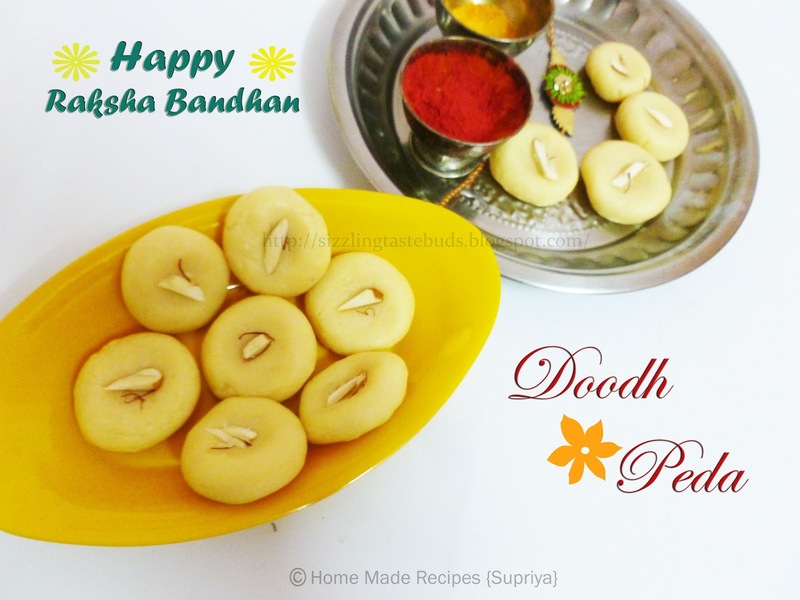 Doodh Peda or Milk Peda is one of the most popular ,rich, delicious, Indian desserts. Today we get lots of varieties and different flavors of pedas. But my favorite flavor will always be this basic simple cardamon flavor milk peda's. Back during my school days, it was a tradition to distribute these Doodh pedas to our neighbours, relatives and friends on getting a good score in the exams. Now we celebrate it in a different way. Yesterday, being a Raksha Bandhan, I prepared this for my younger brother. Its simple, quick and gets done within 5 minutes. I made this in a very small batch but still sufficient for us and for the occassion. Sent some for my mom too and she shared it among her neighbours. A small pinch of Saffron/ Kesar dissolved in 2 tsp of warm milk. Dry fruits of your choice. 1. Melt the butter in a wide microwave bowl for a minute. 2. Add milk powder and condensed milk to the melted butter and mix all together till no lumps are formed. 3. Microwave it in a high power for a minute. 4. Remove the bowl and mix them with a spoon and place it back in a microwave mode for another minute. 5. Remove it again and add in the cardamon powder and saffron milk and mix again. 6. Microwave it again for another minute in a high power. 7. Remove it and again give it a mix. Check whether it forms a dough while mixing. This indicates that the mixture is ready. If it doesnot leave the edges of the microwave bowl and doesnot make a dough texture, microwave it again for a minute and repeat the process. 8. Let the mixture cool for few minutes. Grease your hands with ghee and make small balls and gently press it in the middle to for a peda shape. 9. Garnish with dry fruits of your choice. 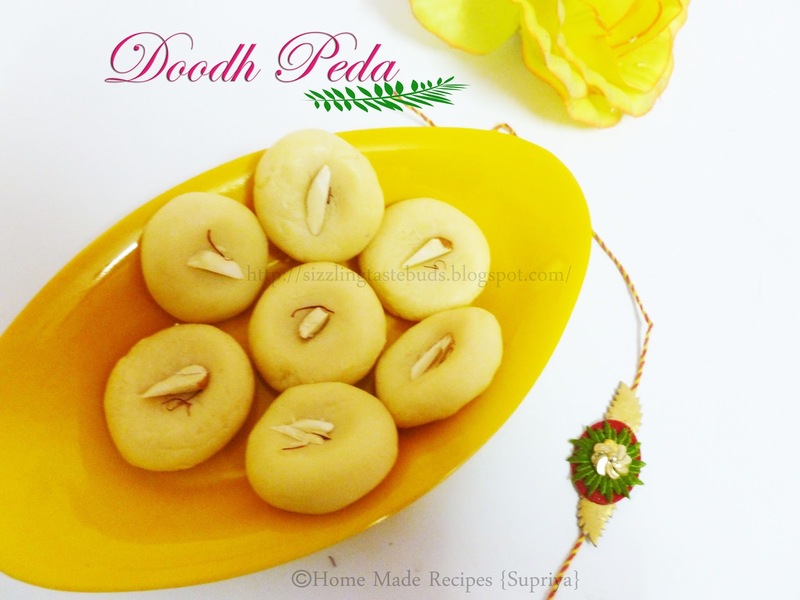 Doodh peda looks delicious and inviting. This looks very very tempting.. A perfect recipe for the upcoming festivities..
beautiful and so easy to make. will try it. thanks. Can we add normal 3.8 % fat milk instead of Saffron milk? @Anonymous ...we need just 2 tsp milk to dissolve saffron. So..yes! you can use the normal milk. Pedas look so yumm.happy to be your follower. nice idea .... love it!